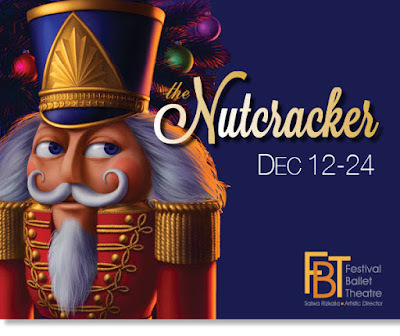 Festival Ballets enormously popular production opens at Irvine Barclay Theatre December 12. Set to the timeless music of Peter Tchaikovsky, The Nutcracker tells the story of Clara, a young girl who receives the gift of a nutcracker soldier from her mysterious godfather  and then the magical journey begins. Family-friendly and affordable, this full-length, traditional production is choreographed and directed by Festival Ballet Theatres Artistic Director Salwa Rizkalla, and features spectacular guest artists, FBTs professional company dancers, and exceptional young talent from across the Southland. Tickets are $45 with discounts for seniors and children under 12.